Its coming! 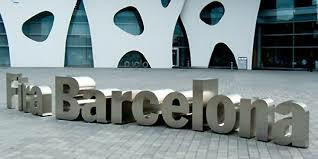 VMworld Barcelona is coming soon. So soon in fact it actually starts on Sunday. Wow, I can hardly believe it. Still feels like VMworld USA was last week. This will be my last VMworld Barcelona working in the vCloud Air public cloud business unit, before I transition over to my new role in the Cloud Service Provider BU. You can read about that in a seperate post. VMware vCloud Air has some awesome sessions this year and I would actively encourage all of you to see these sessions if you can get in. The highlighted sessions are based on vCloud Air’s core use case focus of Data Center Extension, Replacement and Disaster Recovery. These sessions range from 200 level through to 400 level advanced techincal. 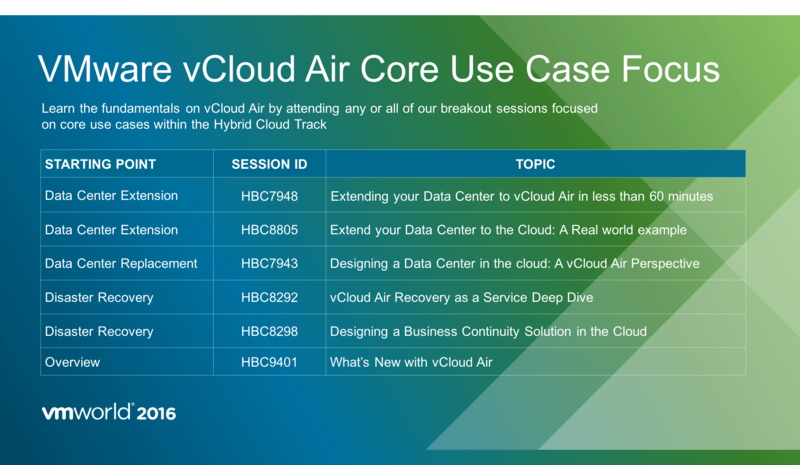 These are not the only vCloud Air sessions available for you to attend at VMworld, but for anyone investigating or moving to a Hybrid Cloud model, they are extremely well worth attending. Thanks and see you all on Sunday!